Hey, listen to me! 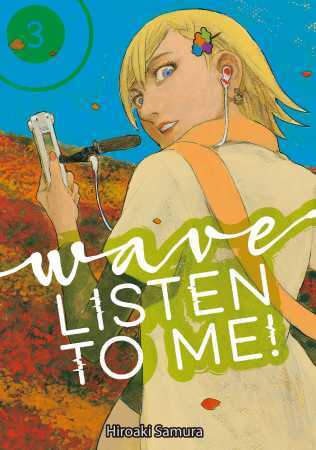 If you haven't gotten hip to one of the breakout digital manga series of the year so far—Wave, Listen to Me! the latest from manga legend Hiroaki Samura (Blade of the Immortal, Die Wergelder)—this is the perfect (as in simultaneous) time to do so! Not only does volume 3 go on sale today (April 24) at all of our digital book channels (including BookWalker and comiXology), but we're also debuting every chapter that follows as simulpubs on Kindle and comiXology—with each chapter going for only 99-cents! Since Chapter 29 appears on newsstands in Japan right now you'll be oh-so-of-the-moment with the newest manga series that's both one of our digital bestsellers and is all the talk in Japan (where it ranked #6 in 2016's This Manga is Amazing! poll). 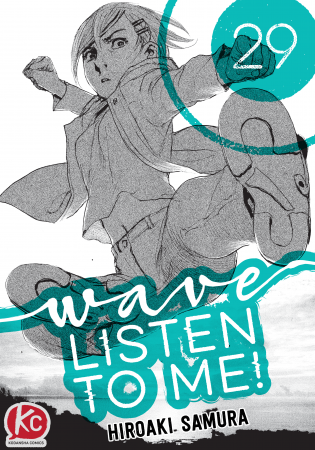 A departure for the action-oriented Samura, Wave, Listen to Me1 turns its attention to modern life in the big city, as a despondent young woman inadvertently finds herself the host of a hit talk-radio show. The stage is Sapporo, Hokkaido. One night, our heroine, Minare Koda, spills her heartbroken woes to a radio station worker she meets while out drinking one night. The next day, she hears a recording of her pitiful grumbling being played live over the air. Minare storms into the station in a rage, only to then be duped by the station director into doing an impromptu talk show explaining her harsh dialogue. With just one recording, the many eccentric facets of Minare's life begin to pull every which direction as she falls ever deeper into the world of radio.